Musa Sroor obtained his doctoral diploma in 2005 from Aix-Marseille University, France, under the supervision of Randi Deguilhem. 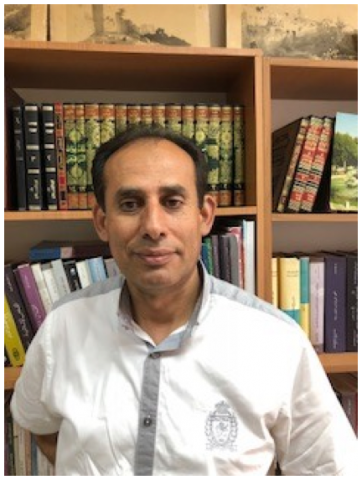 Since then, he has been associate professor at Birzeit University, Palestine, where he teaches contemporary history and is currently director of the department of History and Archaeology, Birzeit University, and director of the master’s program in history. His research mostly concerns the question of waqf and the socioeconomic history of Jerusalem during the Ottoman period. This subject tries to shed light on the conflict between the Islamic waqf administration in Jerusalem and the Christian population of both Bethlehem and Beit Jala over the land ownership in these two cities. This conflict emerged in the mid-twentieth century after these people refused to recognize that the land in their possession is an Islamic waqf and not private property. Based on this, this study attempts to shed light on this legal issue by tracing the historical roots of this conflict until it was taken to the court for a decision. The main question in this research is: What is the origin of the dispute between the two parties at this particular time? Why did it not appear before this date? Does the difference in religion have a role in this conflict? Or is it a matter of personal and material interests? This subject shows the important place of Muslim women in the civil society of Jerusalem during the period 1831-1841 via their right to own and use property according to their own volition. I have analyzed these issues according to the following questions: what was the attitude of local society with respect to Muslim women’s rights to dispose of their assets as they saw fit? Was this accepted by local society or not. This study examines this claim and reveals the nature of the relations not only among the quarters with their religious and sectarian identities, but the relations within the Christian Quarter which is considered the quarter with the most diversified religiously and sectarianly. Therefore, this study comes to reveal the extent of social and economic integration and coexistence in this quarter not only among the Christian religious communities living in this neighborhood, but among between these communities and the Muslims living in it. This study assumes the existence of coexistence and integration between the Muslims and the Christian communities in this quarter in the 19th century. In the second half of the nineteenth century there was a great interest among Jews (both Ottoman citizens and European settler Jews) in creating waqfs in Jerusalem. The Islamic Jerusalem court documents are the only source to study the phenomenon of Jewish waqfs in Jerusalem. Through a survey of these records, I found 35 Jewish waqfs in Jerusalem – all founded in the second half of the nineteenth-century after the first Jewish/Zionist wave of immigration to Palestine in 1882. It should be noted that this figure is larger than the establishment of all other wafqs in Jerusalem during the same period, both Muslim and Christian. Through an in-depth reading and critical analysis of these records, this paper argues that these Jewish waqfs (all 35 of them) serves as the primary basis for Zionist settlement in Jerusalem. This study relies on the methodology of relational historical analysis and para-psychology analysis in reading these documents.